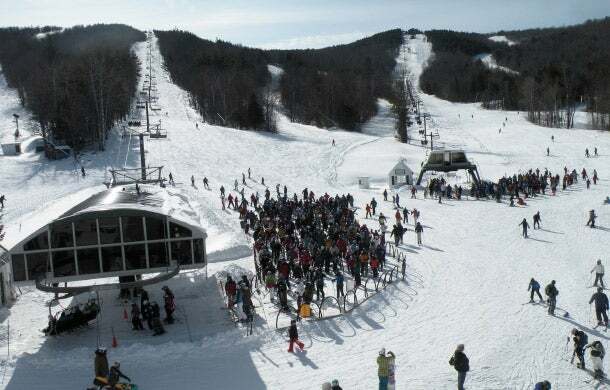 Ragged Mountain, a 49-year-old ski resort in New Hampshire that sees roughly 90,000 visitors per year, was in the heat of the season two years ago when problems with its new electronic ticketing system started to piss off customers. "The concept was slick," says Stacy Lopes, Ragged's marketing manager. "Customers could renew a ski pass or buy a lift ticket online, and it would automatically activate once they passed through a [chairlift] gate. Unfortunately, the vendor didn't have all the kinks worked out, and we ran into a lot of problems both online and with fulfillment." A chance meeting with Liftopia, an online marketplace for discounted lift tickets to more than 250 resorts around North America, led to a turnkey solution. Ragged Mountain was able to embed Cloud Store, Liftopia's cloud-based SaaS pricing platform, onto its site, giving Lopes' team the power to change and tweak pricing in real time, taking advantage of weather changes or quickly offering special deals, such as a $14 Valentine's Day ticket, to generate buzz and sales. "Liftopia pitched us on Thursday; by Friday afternoon all of our products--lift tickets, rentals, lessons, etc.--were loaded onto Cloud Store, and we were selling tickets online on Saturday morning," Lopes says. In return for access to Cloud Store, tech support and Lopes' favorite feature--a robust analytics dashboard--San Francisco-based Liftopia takes a single-digit percentage of each Ragged sale. On an upward slope: Ragged Mountain. Two weeks after implementing the Cloud Store platform, Ragged Mountain sold more lift tickets online than it had for the whole season up to that point. Throughout the rest of the winter, the ski area experimented with pricing to learn how to maximize revenue. "Right before one nor'easter, we had sold out of our lowest price inventory of lift tickets and were selling well at the next-highest discount rate," Lopes says. "We knew the storm was going to be big, so we kept increasing the price by a couple of dollars each day, and the tickets kept selling--it was a great study in user demand and pricing." By springtime, the resort discovered that 45 percent of its lift tickets for the season had sold online. This year, the hope is to sell 60 to 70 percent of lift tickets that way and to use the sales data to better manage and allocate resort staff, right down to knowing how many parking attendants will be needed on a given day. The dynamic pricing enabled by Liftopia is new to the ski industry, notes Dave Belin, director of consulting services for Boulder, Colo.-based RRC Associates, a tourism research firm that specializes in ski resorts and communities. Such services may face resistance from traditionalists and those who can't stomach giving up a cut of sales. Industrywide, ticket sales account for less than half of a resort's revenue but "are the gateway to getting people in the door to spend money elsewhere at the ski area," he says. "So the key for Ragged Mountain is to raise overall revenue per skier visit, while not creating a customer base that expects steep discounts every time."